Quiet place located almost in the forest in Golden Sands. Nice pool and large apartments. Excellent for family stay and real relax. Comfortable, clean, silent and safe place. The apartment is well equipped, the pool is great. Ideal place for a calm, relaxing vacation. Would definitely stay again. Really clean and friendly staff, very helpful! Great location and value for money. Everything was in order, the place was clean, the Terrance was really great and big. 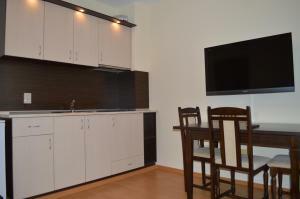 Overall, the apartment was welcoming and the personnel was friendly and willing to help. Also, the swimming pool was clean and there playground for kids was well maintained. I would definitely recommend it and if the opportunity, I would book it again. Thank you for the great services! The location is O.K. The pool area and the room were clean. Close proximity to the center. Clean room. Friendly receptionists, spoke and understood English well. 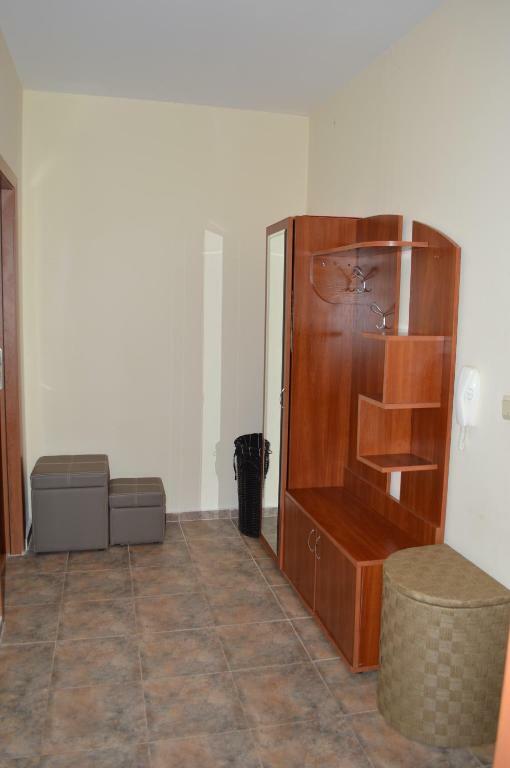 Apart Complex Amphora Palace This rating is a reflection of how the property compares to the industry standard when it comes to price, facilities and services available. It's based on a self-evaluation by the property. Use this rating to help choose your stay! The Amphora Palace Hotel is located a 5-minute walk from the beach, right next to the Aquapolis Water Park in the green area of Golden Sands. 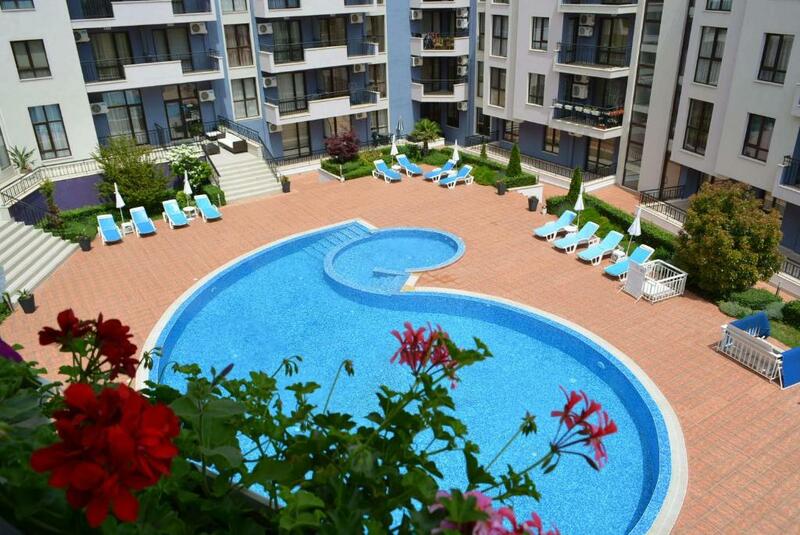 It offers its own outdoor swimming pool with kids' pool, free Wi-Fi and free parking. 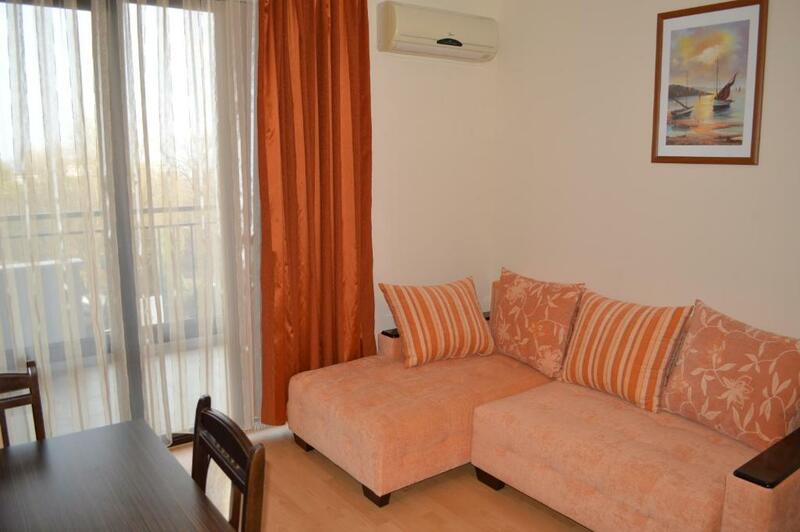 All rooms and apartments are air-conditioned and feature a balcony with sea or park views. You can find many restaurants serving Bulgarian and international cuisine in the surroundings of the Amphora Palace Hotel. The center of Varna as well as Varna International Airport can be reached within a 25-minutes drive by car or bus. Right outside Amphora Palace there is a bus stop. When would you like to stay at Apart Complex Amphora Palace? This room a bedroom and a living area, and a small kitchenette. Some have a balcony. This apartment features 1 bedroom and 1 living room with a dining area. Cable TV and a private bathroom with shower cabin are available. This studio features a toaster, electric kettle and air conditioning. This apartment features a balcony, WiFi, oven and kitchenware. This apartment has a sofa, kitchenware and seating area. This studio has WiFi, a balcony, seating area and stovetop. This studio features a electric kettle, stovetop and air conditioning. Please note that this room type does not open to a balcony. This studio features a balcony, air conditioning and dining area. This apartment features a balcony, patio and kitchenette. House Rules Apart Complex Amphora Palace takes special requests – add in the next step! Great swimming pool. Not overcrowed. There are some neighbors that are really bored.. If you sit late at night near the pool to relax and discus a bit but whispering, but they are screaming at you in Russian/Ukrainian or Bulgarian and you don't know what they want.. Apparently, they don't know how to use the English language. This is bad mate! It’s not a hotel place, so you could not expect ‘all inclusive’ services. No restaurant, nor bar. The security guards are very angry people. They accused my son for making a fire and it was not my son it was another child. The staff made my son very upset. I don't if it was because we was English they was just not very welcoming. The apartment was not full equiped, they didn't refill the toilet paper when they vlean the apartment. The property is not so close to the beach. The access to the beach requires a 10 minute walk, including crossing a road with poor illumination at night, and going through the hustle and bustle of a resort full of night clubs. Still, something acceptable, given the calmness, safety and silence that the location offers. A lot of families and children so sometimes busy by the pool. Air con or fans in rooms would be more helpful as just one in living room. There were ants in our room. We went to discuss it with manager but at first she avoided meeting us and finally when she agreed to see us she was rude. She said we can leave on the day we complaint and look for another place to stay if we do not like Amphora. Water in pool very cold. The cauch was to far to small for both boys. Wi did not recieve the WIFI password and username for the appartment. Upon arrivel we were greeted by not very friendly securiy staff also there was not much staff visible besides the security. When leaving and attempting to pay our reservation they were not very professional as well as taking long time to proceed the payment assuming because i speak the native language.